Everyone dreams of having an army of different personal assistants. A personal chef to cook for you. A maid to clean your house. A chauffeur to take you to and from work. Although modern iOS apps can’t exactly replicate those kinds of experiences for you, they can replicate the experience of having a personal assistant. If you’re searching for a suitable app for your iDevice, stop right now. 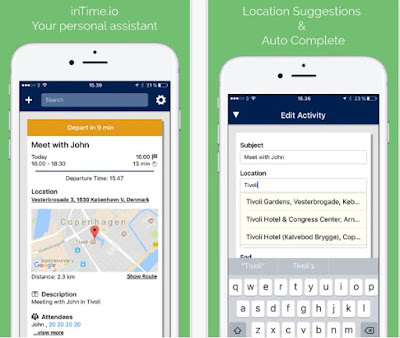 We have found the perfect appointment assistant for your needs - inTime.io. 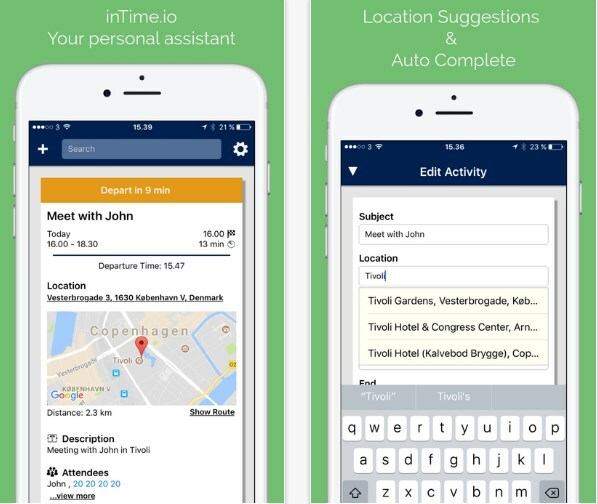 inTime.io is a comprehensive and efficient virtual assistant for all iOS users that want to have their appointments and events managed. It is compatible with both IPhone and iPad and shines with neat user interface. Of course, we chose it because it provides with tons of unique and useful features, so let's talk about them some more. This powerful app can help you arrive on time! It simply handles all of your unforeseen delays and offers you the contact information for each appointment attendee. You can easily import appointments anf events from your primary calendar, you can add new ones in the app, send text messages, select travel options (driving, walking, bicycling, transit), etc. Additionally, you will receive smart notifications and won't have to check your departure time manually. Download this user friendly and helpful appointment assistant from the App Store - it is completely free of charge!